I don’t know about you, but every year when Christmas is approaching I feel like I’m on a roller coaster. Time goes by way too fast, it seems like I’ll never be able to get things done and everything is just a hectic mess. There are way too many ideas running around in my head and with having a new Etsy shop this year, things haven’t been on a smooth path. Anyway, here are few of the things I did this past week. Some Winter/Christmas inspired illustrations, which you can now find in my shop printed on various objects, plus some redesigns of old stuff I had there too. Also, I added some new printable stickers to my free resource library, where monthly I add new stuff. If you’re interested, you can get access to it by subscribing to my “Notes From A Bookworm Artist” newsletter, here. Scroll down to see all the stuff. Access my free resource library to download the stickers you see above by clicking the button bellow. I thought that the Winter Favorites watercolor illustrations I painted would look really cool on some natural cotton tote bags :). What do you think? By the way, did you know that the following are some things you can use a tote bag for? • use it to care for the environment. Also, this cozy pillow. You can also purchase just the pillow case, if that’s what you need. And a mug for your coffee or tea. No? Maybe some hot chocolate? I also made this print in various sizes. 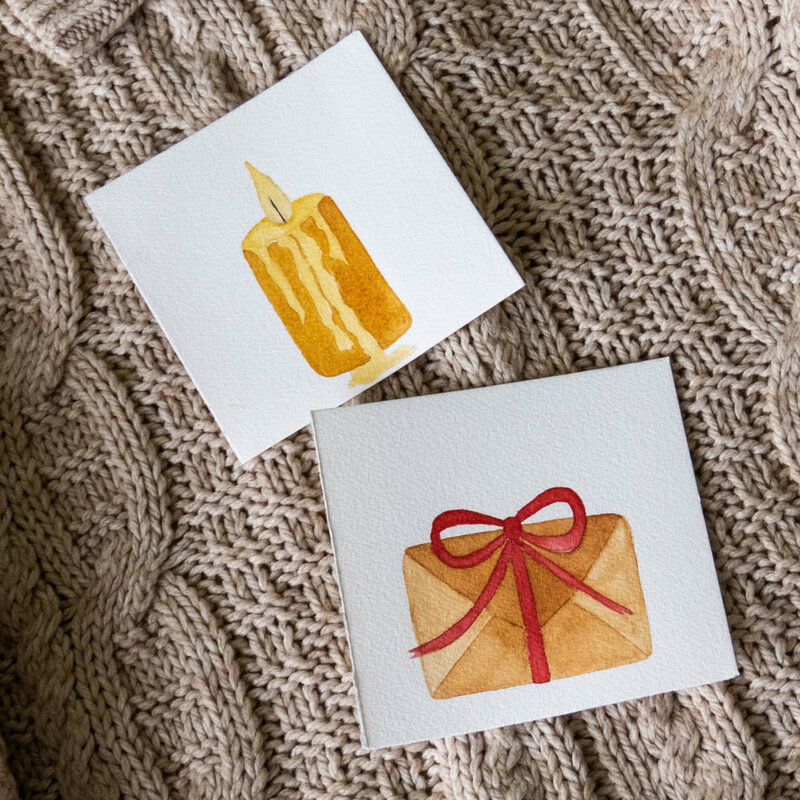 And a printable greeting card you can fold in two :). Thank you for reading and I hope you like my stuff.